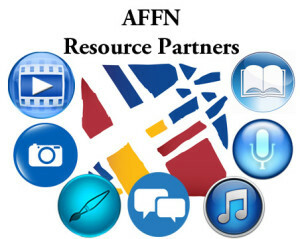 A brand new feature of the AFFN is now up and running: The Marketplace, where AFFN Resource Partners promote their materials… and many AFFN members have already signed up! Our website traffic is off the charts… and growing! We have more than 13,000 pageviews a month and about 1,000 brand new visitors monthly. The Marketplace currently receives almost 2,000 pageviews a month– and it’s climbing. Would you like to share your goods and services with the public? Please let us know. Resource Partners get an exclusive page detailing their goods and services featuring appropriate links and contact information. Great for people with already-established websites, this benefit is also terrific for people who don’t have sites but need a popular platform to introduce their materials to the world! Details: For a tax deductible gift of $125, you receive all the benefits of a Sustaining Member (a biographical sketch, picture, and email link on our Member’s Page, a monthly eNewsletter, access to all content in “The Abbey,” a beautiful cloisonné AFFN lapel pin, and unlimited access to the brand new “Knowledge Base”)– Plus, you’ll be featured with you very own “Marketplace” directory page where your goods and services will be colorfully promoted. 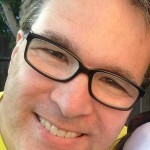 Books, Recordings, Compositions, Artwork, Videos, Website, Blogs and Vlogs… and more! Have any questions? Drop us a note. We’ll talk about your products and get started on creating a beautiful page to promote them.